If you have celiac disease (CD) or would like to live gluten free, creating a safe kitchen makes this process less stressful. This how-to article delivers what you need to do to avoid gluten exposure. If you are gluten sensitive and not living with CD, you may not need to go to the extent described below; the choice is yours. This is like applying the KonMari Method to your kitchen. Tackle one area at a time, dump it all out, and then only keep what sparks joy—or in this case, what will not bring harm to your gut. Depending on the size and how well-stocked your refrigerator, set aside an hour or so to examine everything. As you are removing items, sort them. All fresh vegetables, fruits, unprocessed meats, poultry, fish, seafood, and eggs can go into the safe pile. Dairy products with no additives are gluten-free (plain yogurt, butter, cream), but double check labels of cheese, as some may use bread mold as a starter, e.g., stilton cheese. Crumbs may have contaminated jams or spreads so place them in the unsafe pile. Review condiment labels carefully for wheat, rye, and barley, as well as any derivatives and aliases. For example, wheat varieties may be listed as durum, emmer, einkorn wheat, farina, farro, graham, semolina, or spelt. Place items not labeled gluten-free or with unsure ingredients into the questionable pile. You can either donate these items or invest more time to research the ingredients. Find and contact manufacturers if the information is not clearly provided on labels or product websites. After removing everything and sorting, thoroughly wipe down the inside of the refrigerator. If you plan to share your refrigerator, group all unsafe items together and/or label with a colored sticker. If you plan to go 100% gluten free, donate or toss all items that are unsafe. Pro-tip: Check all labels. For example, you may think a self-basting turkey is gluten free. Unfortunately, many self-basting solutions often have gluten. Make no assumptions when it comes to processed foods! Empty out your freezer, and once again group items into safe, questionable, and unsafe categories. The process for the freezer is similar. All frozen, plain vegetables, fruits, unprocessed meats, poultry, fish, and seafood can automatically go into the safe pile. Examine anything with a label. Clean the inside of the freezer and only put back what is safe; or separate and label items with gluten. Pro-tip: Be wary of vegetable medleys with sauces since they may contain gluten as a thickening agent. The pantry may seem more daunting since every item has a label that needs to be checked. Remove everything from your pantry. Gluten-free grains and starches that can remain in your diet include amaranth, arrowroot, beans, buckwheat, chickpeas, corn, millet, potato, quinoa, rice, sorghum, tapioca, taro root, and teff. Other safe foods include nuts and seeds (raw, unflavored), popcorn, oils, ketchup, mustard, sweeteners, herbs, and spices (beware of spice mixes and any items bought in bulk that may be cross-contaminated). Check the ingredients on all beverages. For example, some herbal teas have barley. After sorting, wipe down all cabinets and only put back what is safe. Again, if sharing the space with others that eat gluten, segregate and label these items. This will deter mishaps and cross-contamination. Pro-tip: Use this opportunity to declutter. Check expiration dates and only keep what you will eat in the near future. The holiday season is a great time to donate to the charity of your choice. Summary: Many perishable items are naturally gluten free. If keeping gluten-containing items, label and group these together in the refrigerator, freezer, and pantry. Gluten is sticky so be sure to clean appliances, equipment, utensils, and surface areas with soap and water. Scrub down the refrigerator, freezer, oven, toaster, microwave, pantry, or any cupboards that hold food. When possible, you can thoroughly clean and share equipment and utensils; however, some items such as toasters, cutting boards, and strainers are better to buy new and label for the gluten-free person. Pro-tip: Use a separate sponge to clean equipment used with gluten foods to avoid cross-contamination. Summary: Clean everything; decide what to share, to keep separate, or to purchase a new, dedicated gluten-free only item. Restock your kitchen with plenty of gluten-free foods. If you are new to a gluten-free diet, stick with foods that are naturally gluten-free like unprocessed meat, poultry, seafood, nuts, seeds, vegetables, fruits, and natural dairy. This is a healthy way to eat and you may already know how to prepare these foods. Just because you are gluten free does not mean that you must go buy 10 new gluten-free grains and a bunch of processed gluten-free baked goods. Simply ensure you have the basic staples. Once you feel comfortable with the basics, you may want to explore ways to replace items or recipes you miss. There are many resources available. 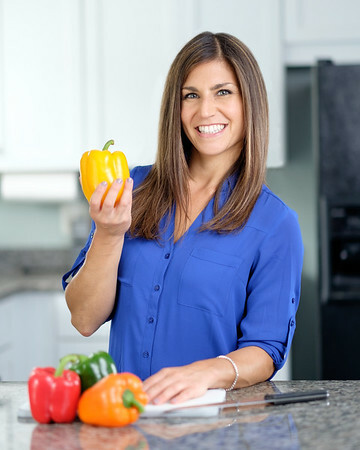 Check out Erin’s gluten-free recipes. Summary: There are many, naturally gluten-free foods that you can eat; start with these. 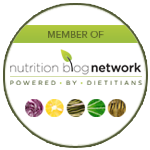 Download the 3 Steps to a Gluten-Free Kitchen checklist! Your first goal is to create an environment where you feel safe, relaxed, and can enjoy eating. This begins by purging your refrigerator, freezer, and pantry. Next, consider the appliances, equipment, and utensils that you use and after a thorough cleaning, decide what you can share or need to buy new. Once you have removed—or labeled, if sharing the kitchen—the glutinous traces, replenish your home with healthy, gluten-free options that you can feel good about eating.